Al Porter is surely the epitome of a comedy success story, familiar to many as a result of his recent appearance on BBC’s Live At The Apollo, during November. At only 22 years of age, this stand up comedian has been working the circuit for just a few years and has been quick to establish a name for himself in Ireland as well as across the UK, even making it to the semi-finals of So You Think You’re Funny within a mere three months of his first gig. 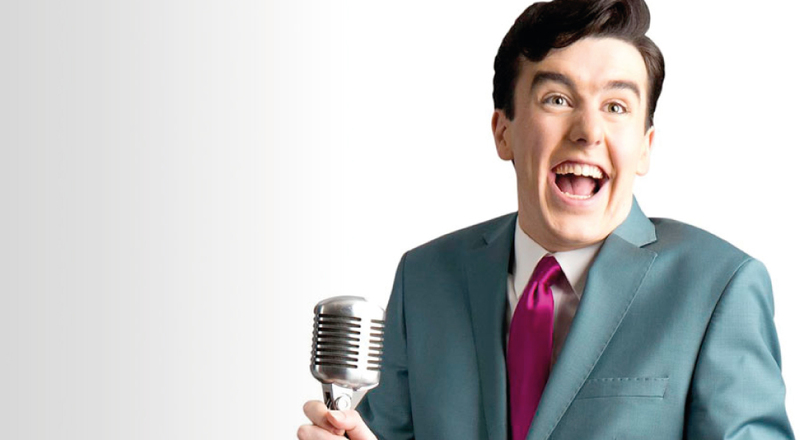 He also performed his debut stand up hour, Al Porter Is Yours at this year’s Edinburgh Festival. It’s hard not to like Al. Maybe it’s partly due to the accent, or perhaps his unyielding enthusiasm for performance, but the pivotal reason, it has to be recognised, is Porter’s sheer level of skill that he utilises to provide entertainment that is full of energy and positivity. Clearly Porter is a born showman, with a talent for building a rapport with audiences. He’s chatty and flamboyant but slick with a manner and abundance of material that has an undeniably uplifting quality, making it clear that Al is a man who appreciates and understands the role of an entertainer and works tirelessly to fill that quota. Surely I can’t be the only person to feel as though this young man has somehow managed to harness the spirit a strange but endearing Irish grandfather in his performance persona? Dapper in his pristine suit and tie and armed with a storyteller’s stage presence, Al Porter is not only accessible and enjoyable to watch, but he gives the impression of wisdom beyond his years, making him someone who’s stories are well worth a listen. For more information, visit Al Porter’s website and follow him on Twitter.